I’m writing something different today. It’s a topic I’ve been wanting to cover for awhile, and I’ve noticed that there are a lot more people in similar, unique, situations as me. I’m not sure why, but for some reason I’ve been surprised about how many other entrepreneurs and business owners battle with mental health and chronic illness. You cannot see on the outside, but on the inside it’s a whole other world. These are topics I don’t hear enough about in our industry. Sure everything on social media and online usually looks pretty and happy all the time, but we don’t see enough of the behind-the-scenes reality of business owners, so today I’m going to give you a little behind the scenes of my life. 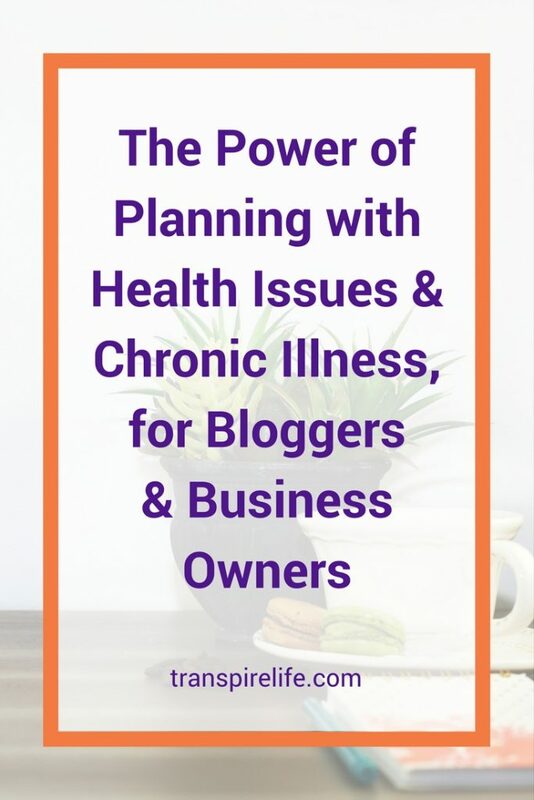 I’m going to discuss what it’s like to personally battle depression, chronic illness and a couple of other health conditions that I continue to work through as I grow my business. All my life I’ve been dealing with depression at different points. I don’t ever remember really coming out of being depressed. Some days are better than others. No matter what I was going through that triggered that depression, I knew there was a fire within me. I was meant for something bigger and that little spark of hope just kept me moving forward slowly little by little each day. Since 2011, I started doing more planning using my paper planner, more brain dumping, and more goal setting. This was also the year I found out that my depression wasn’t necessarily related to the fatigue and being tired all the time, instead I found out I was severely anemic and had to have an iron transfusion. Now I have one more thing to manage. From 2011 to 2015, while owning two coffee drive-throughs, made me realize the importance of great planning and time management. Just because I needed to be more organized for my business but also because I was trying to learn how to keep my sanity, manage my iron, and depression. Besides my paper planner, I had a schedule set for ordering inventory, creating new drinks, include recipes, training papers, etc. I put all of this into a 3-ring binder as my Business Manual. This made me realized how much “free time” I had to do more marketing. In 2016, I switched careers and started a new business of organizing offices. I had just started, so I was still in the process of building up my clientele and getting my name out there. While I was doing this, I was working a couple of jobs, financially stressed out and depressed. My original planning and time-management just wasn’t cutting it this time. I was exhausted all the time, but I still wanted to work with my business. I was frustrated with myself because I wasn’t working as much as I thought I should based on what I’ve seen other entrepreneurs do. So, I had that stress on myself of trying to hurry and build my business and not work two jobs anymore. My wish came true…sort of. You know how your body has a way of giving you signs that you need to slow down and relax? But all you want to do is just keep going because you just want to get this task done, reach that goal sooner, faster, when ultimately you burn out? Earlier this year (2017), I started feeling really weird at work. I was working two part-time jobs, where I stood all day. I just started getting dizzy, a hot flash all of a sudden, and then felt like I was going to pass out. At first, I thought that I just hadn’t eaten enough that day, it was just too hot at work, or I was just really stressed, so I didn’t think much of it. It went from once a week to having episodes at least 3 days a week, so I ended up in the ER. I was sent to a cardiologist to find out I had a type of dysautonomia called Neurocardiogenic Syncope (NCS). Which basically meant my blood pressure would drop and my heart couldn’t pump blood back to my brain fast enough, so my body would naturally make me want to pass out to get blood back to my head. This new diagnosis took a toll on my confidence and self-worth. I felt useless. I couldn’t do anything that involved standing for only minutes at a time, not even an office job. I had to have so much help I ended up in a wheelchair, I was paranoid about passing out, so of course I just wanted to stay in bed and not do anything. I also wanted to stay in bed because I was so exhausted all the time. I had no willpower or motivation to work on my business. The simple things, were now difficult – even thinking and speaking clearly was hard. Planning and time management went out the window. It took a few months, but after I started being more self-aware, journaling more, affirmations, and accepting my new current situation. That fire within me to do more in the world was still burning. I missed having something I was passionate about working on each day, helping clients. It made me feel happier and important. I had to get that back. 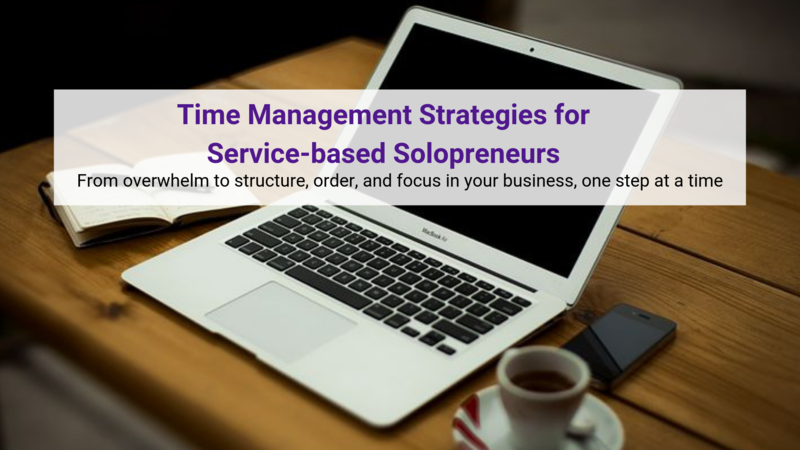 Once I began managing my symptoms and episodes, I had to get clear on what my business could be now, realistically, and how I was going to do it. This has changed quite a bit from my original plans for the business. Not only did I redo my business model, but I had to leave a lot more flexibility each day to easily move things around in case my body needed rest. I had to choose services to offer that I enjoyed, that no matter how I’m feeling, I could still push through it and still manage high quality results for my clients. I’ve been working my schedule around my illnesses. Now, I’m learning to work my illness around my schedule, the best I can. No matter what you’re going through, just know that sometimes how we reach our dreams is not what we thought, but that’s okay as long as we reach our goals and move forward a little bit each day, no matter how little or how much. Each day is an adventure. This isn’t a race, it’s a journey. A roller coaster journey, but it’s one of self-awareness, personal growth, amazing connections and clients. 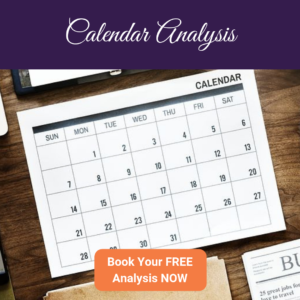 Grab your Undated Planner to start adding structure with flexibility in your business. Do you battle with depression or other mental illness, or chronic illness as a business owner? How has Planning and Time Management helped you move forward? Please share your story in the comments below, so we know that we’re not alone. We can support each other and cheer each other on.